Organic Mattresses are becoming more and more popular these days. As people's awareness shifts to looking for better, cleaner food, it is part of the natural progression into a healthier lifestyle. After all, you do spend quite a few hours every day asleep in your bed. When they get fitted into the right Organic mattress, people often notice a big improvement in their sleep right away. This has to do with many factors: better comfort and support, improved breathing patterns (less chemicals, allergens and dust), better temperature control, and a calm stillness without 'bouncing' or motion transfer. Our Organic mattresses are chiropractor endorsed for postural support, with extensive warranties for quality and comfort. 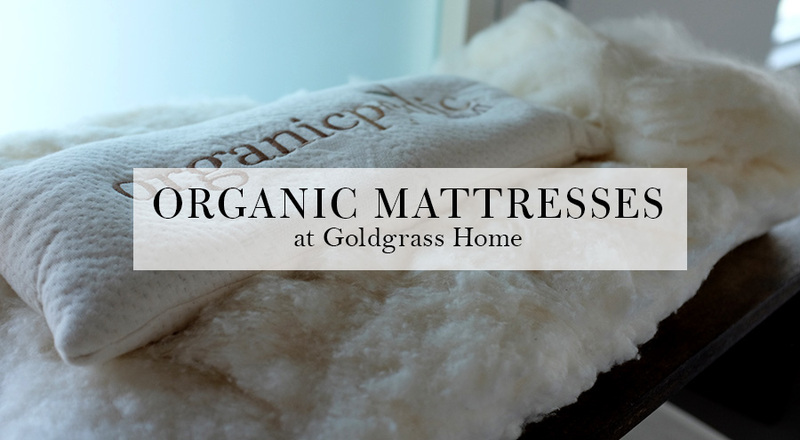 How good will you feel when you start sleeping on your new Organic mattress? 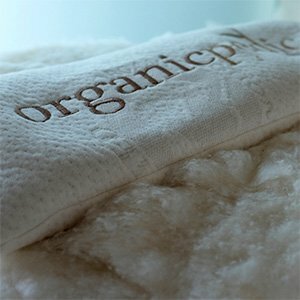 Our beds we get from Sleep Tek and OMI Organicpedic are certified to be 100% pure Organic materials. No synthetic ingredients or additives = no offgassing. Yes, most beds and furniture made from synthetic fabrics and foams need to be treated to carcinogenic chemicals so make them less of a fire hazard. Don’t worry. These natural beds don’t burn. They pass all the fire safety tests without chemical additives. They are made from materials like wool, that have a natural flame resistance. The layers of cotton, wool and the natural latex-rubber core are considered to be dust-mite resistant. Dust-mites only thrive in an environment that traps warmth and body moisture. The natural breathability of our materials creates an environment where they don’t want to live. Both our Sleep Tek and OMI Organic mattresses are warrantied against ‘dipping’ or ‘sagging.’ The natural latex-rubber core is built to last, and to continue to support you evenly. It won’t give away or pack down like standard spring systems and synthetic foams. Standard foam beds, and memory foam beds are made of synthetic, petroleum-based materials. In other words, plastics. Not the most breathable or comfortable. The Organic materials of our beds are naturally breathable so you stay cool and sleep great. We say it all the time, and it’s hopefully starting to sink in: ‘Buying a bed is one of the most important decisions you make in your life!’ Why? Not only is your bed where you spend more time than any other place, but it’s also where your body goes to rest, recover and heal. Your sleep is not something to be taken lightly. And yet, most people walk into a mattress store, bounce on a couple of beds for a minute or two, and pull out the credit card for the bed they are going to live with for the next decade. This is not how it should be! Our Organic Mattress Shop (and Hastens Sleep Spa) are quiet, private showrooms so you can get comfortable, relax, and take your time. You can come back as many times as you need and take all the time you need. Our trained team can help you understand comfort and your spinal alignment. Yes, sadly, most beds out there are just not built to last. Cutting costs with cheaper materials, thinner springs, lower-quality metal, synthetic foam can fool you in the showroom, but they often start to fail after a couple of years. This is no good! You want to make an investment in your comfort that will last decades! Our Sleep Tek & OMI Organicpedic mattresses are warrantied for 20 years. And, with proper care, can last even longer! At the end of the day, we want you to sleep. It’s important. That’s why we’re Calgary’s #1 destination for the world’s purest and most comfortable Organic Mattresses, pillows, blankets and linens. If you’re serious about great sleep, we can help. We have the ideal mattress for you, your kids and your whole family!